Kingwood, Texas is a large master-planned community in northwest Houston that has been dubbed a “livable forest” with over 15,000 acres of nature preserves and parks, as well as numerous forests and trails. 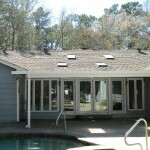 This unique natural environment creates a greater than average need for our Roof Stain Removal Kingwood Texas service because of the presence of algae, which is a form of mold or mildew that results in large amounts of black streak roof staining. 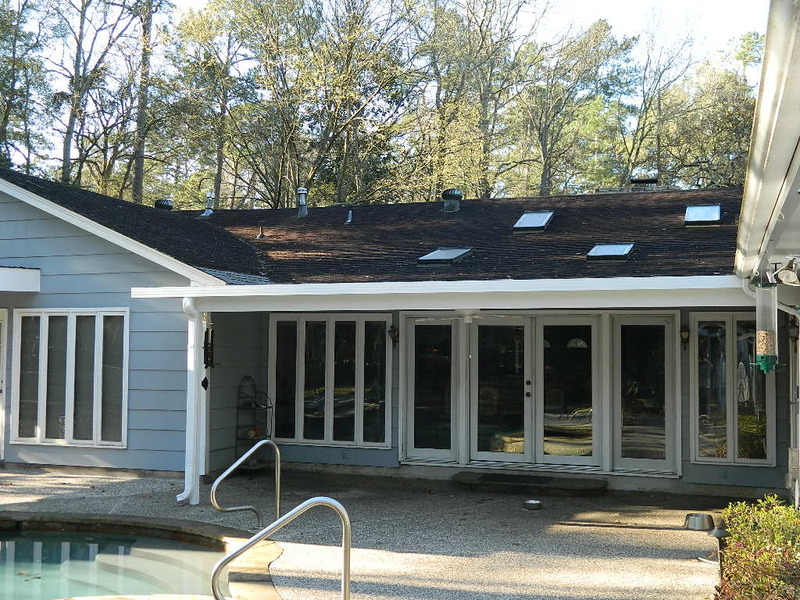 Roof stain removal in Kingwood, Texas is what we specialize in with our no pressure, chemical SOFT WASH application, which produces visible results within five to ten minutes of application. Unfortunately, these stains can be spread from one roof to another through spores that are released into the air, much like a contagious illness. Rain, humidity, and even the limestone in the shingles themselves provide necessary elements for these stains to thrive and grow, creating a negative impression to the appearance of your home that keeps getting worse over time. 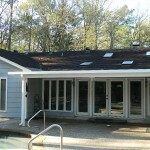 While many turn to pressure washing for roof stain removal in Kingwood, Texas, the high and low pressure cleaning method’s actually damage the roof by wearing down the “gritty” shingles and reducing the lifespan of the roof. By using our SOFT WASH no pressure chemical cleaning agent, we attack the algae without attacking the shingle, and it’s safe for the environment. With less pressure than a garden hose, the algae is killed immediately on contact and will most likely not return for three to seven years. Most shingles are designed to last 15-25 years, and our promise to you is to be honest and up front about the condition of your roof when a full roof replacement is what is needed and recommended. 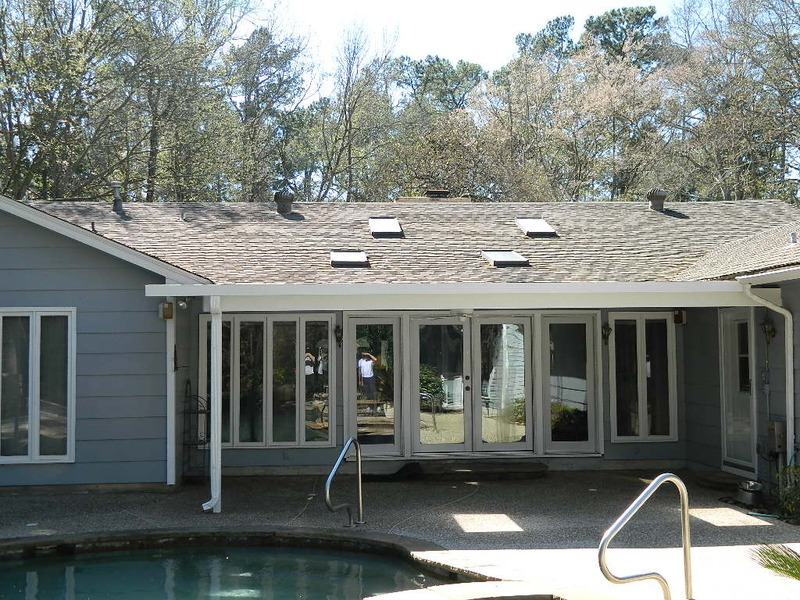 At the same time, there are many cases where your roof can be restored to looking like new with our soft wash, Roof Stain Removal Kingwood Texas no pressure approach!